Jeremy and I just got home from a two-week excursion in Costa Rica. It was absolutely amazing. 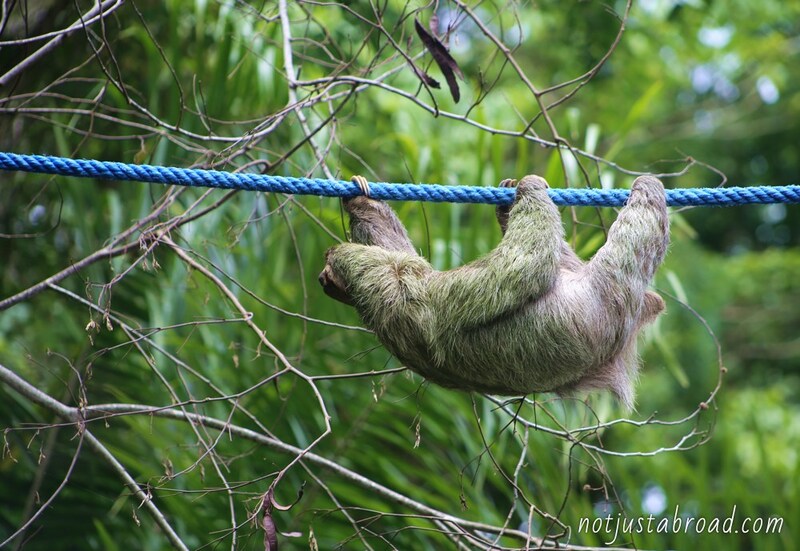 Oddly enough, my inspiration for wanting to go to Costa Rica was… sloths—the always-smiling fur ball of the jungle. Who can look at a picture of a sloth without saying “awwww”? I bet even Jack the Ripper would say “awwww” to a baby sloth. 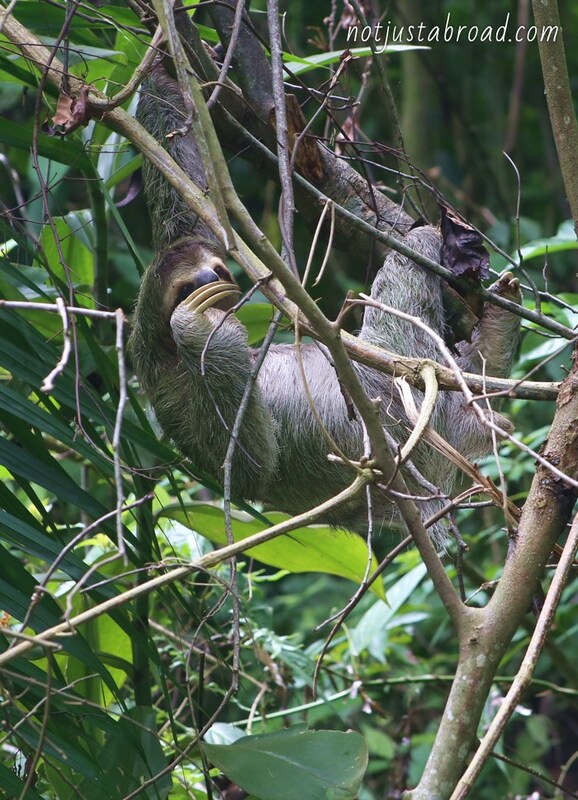 From the blogs I read and the research I did before we left, I thought I was going to see sloths everywhere. As soon as we were on the road, after picking up our rental car, my eyes were on the trees. 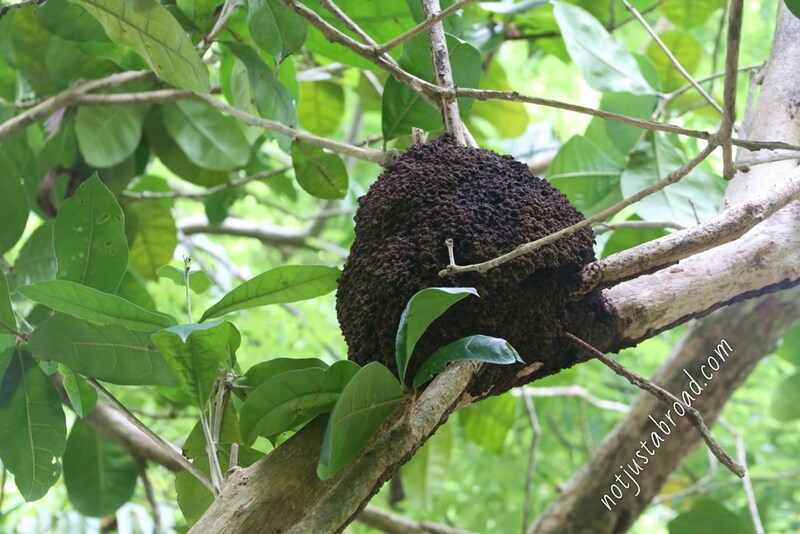 I saw dozens of dark mounds in the trees and I just knew that they must be sloths or monkeys. No. They were termite nests. Womp womp. 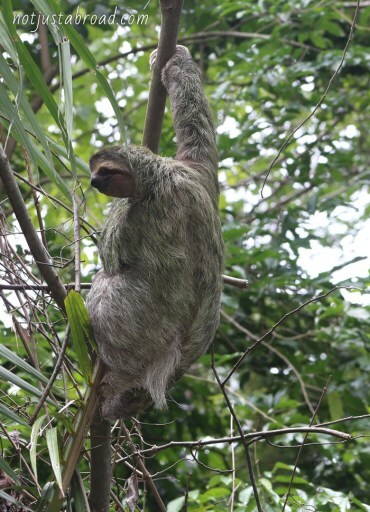 Sloths are actually very hard to find in the trees. They have a symbiotic relationship with algae that lives on their fur. This means that during the rainy season they are green so they blend easily with the leaves; alternately in the dry season they are brown to blend in with the branches. Sloths, or perezosos, as the locals call them can also be incredibly still due to their grip. Sloths can even hang to a branch after they have died. Dead sloths are too sad to think about though, so let’s move on. Blue ropes cross several of the streets in Quepos, Costa Rica so that monkeys and sloths can safely cross. I considered us to be incredibly blessed that we had a sloth living outside of our hotel room. After we had checked into our amazing hotel (Issimo Suites) in Quepos, there he was, hanging from the tree right outside our bedroom window. He was moving all around and eating. When I was told that sloths are slow I imagined them taking a day to get from one branch to the next. That is not true. It only takes them a minute or so. They are graceful with smooth, calculated movements; this I did’t expect. They are absolutely fascinating to watch. 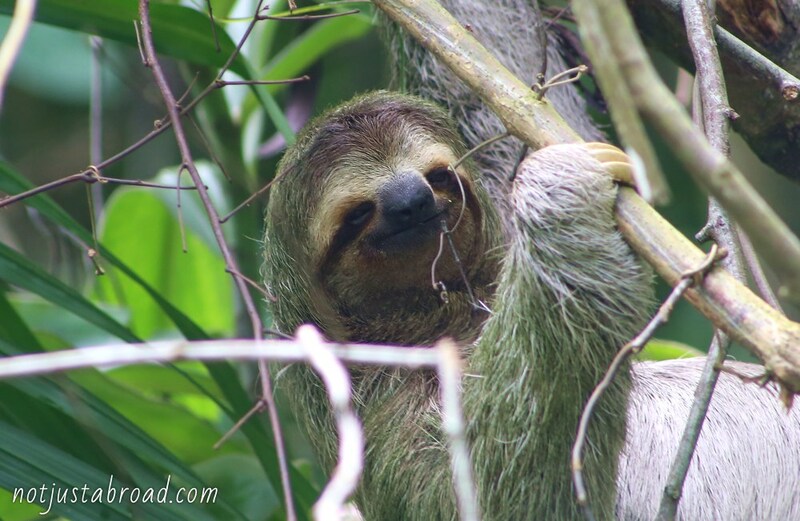 I walked away from our time with the sloths wondering if there is some correlation to their slow pace of life and the smile that permanently resides on their face. They would probably fit in quite well in the South: sitting on a front porch, enjoying some sweet tea, and eating cecropia leaf salad.